Scaffolding Equipment & Rental - Scaffex Inc. 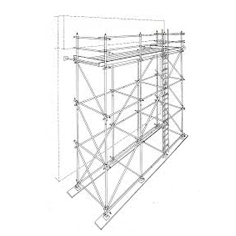 Established in 2013, Scaffex Inc. is provides scaffolding for sale and rental in the Gatineau/Ottawa region. Our team of qualified workers and management personnel make sure you get the best product for your unique project. We understand that every job is unique and there is no one size fits all scaffolding kit. As scaffolding specialists, we have all the products you need and will find the best solution to maximize safety and your budget. Using modern equipment we are constantly discovering new work practices and techniques to increase productivity and thus saving time and money to our clientele. As a full service scaffolding company, we will work with you from the initial set up to the final dismantle to ensure that your job is a success. 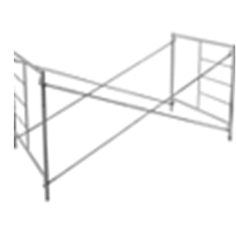 For a small job or infrequent use of scaffolding, you may also choose to rent the scaffolding equipment. Contact us for scaffolding rental pricing. 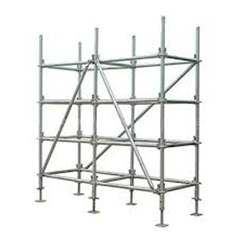 If rental is not an option, we sell new and used scaffolding. Choose from our large inventory of platform scaffolding equipment, from frames to ring type and any accessories you need. Please feel free to contact us for specialized equipment sales such as Shoring Posts, Fencing or Garbage Chutes.